Joseph Borowitz, Pharmacologist and Educator, has been recognized by Marquis Who’s Who Top Health Care Providers for dedication, achievements, and leadership in pharmacology and research. In 2015, Dr. Borowitz retired from his position as a professor at Purdue University. He had taught at the university since 1974 and earned the title of Professor Emeritus in 2016. Teaching generations of students in pharmacology, Dr. Borowitz has always inspired them to do their best and has seen his students go on to lead amazing careers such as Steve Leslie, who became a vice president at the University of Texas. Earlier in his career, Dr. Borowitz served as the Chief of the Bio-kinetics branch at the School of Aerospace Medicine. He then joined the faculty as Harvard University as a postdoctoral fellow in the Department of Pharmacology. In the later 1960s, he began teaching at Wake Forest School of Medicine, and left the institution as an assistant professor of pharmacology. Dr. Borowitz has long allowed his curiosity to guide him. With interest in pharmacy stemming from an early age, he first earned a Bachelor of Science in pharmacy from The Ohio State University in 1955. While studying pharmacy, he became interested in pharmacology after taking a class in it. From his standpoint, being able to use drugs and medication to treat and correct problems in physiology was a wonderful way to view the health profession. After seeking out guidance from his peers, he decided to pursue pharmacology and was recommended to continue his education at Purdue University. 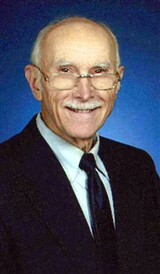 He earned a Master of Science in 1957 from Purdue and a PhD in 1960 from Northwestern University. His mentor at Purdue was Dr. Tom Miya, and his mentor at Northwestern was Dr. Carl Drydale.